Vinay Kaushal | OK Listen! 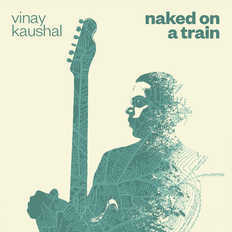 Fender Artist Vinay Kaushal is a Composer, Guitar Player and Music Educator based in India. He is an alumnus of the Musician’s Institute, Hollywood (GIT). Vinay’s playing boasts of a unique stylistic versatility with a repertoire that includes genres like the blues, funk, jazz, rock and fusion. Having always enjoyed composing, Vinay writes music with intricacies that are rarely stumbled upon. His guitar recitals have a unique artsy accent to them, while his compositions are discerning of his individuality. Vinay is all about writing and composing original music and is associated with quite a few popular acts. He is the principal song writer of the Vinay Kaushal Collective, a vehicle for his own compositions, and also for the world music act Empty Café.